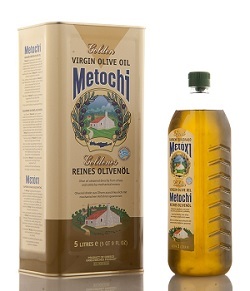 “METOCHI”, our pure virgin olive oil, will win you over with its smooth taste and pale hue as it is the olive tree’s natural “fruit juice”, containing all the nutritional elements beneficial to health such as Vitamins and Provitamins A & E, minerals, and natural antioxidants. 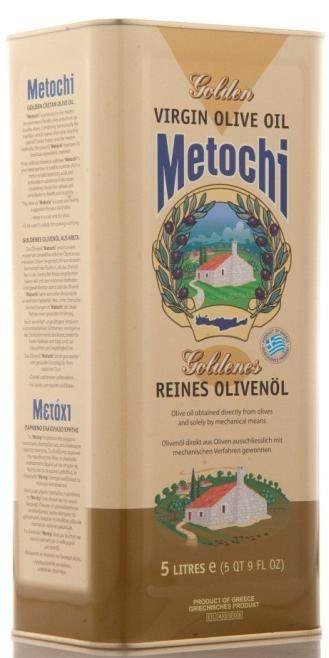 This golden olive oil holds a prominent position in culinary creations such as “lathera” (the olive oil-based vegetarian dishes) and desserts. 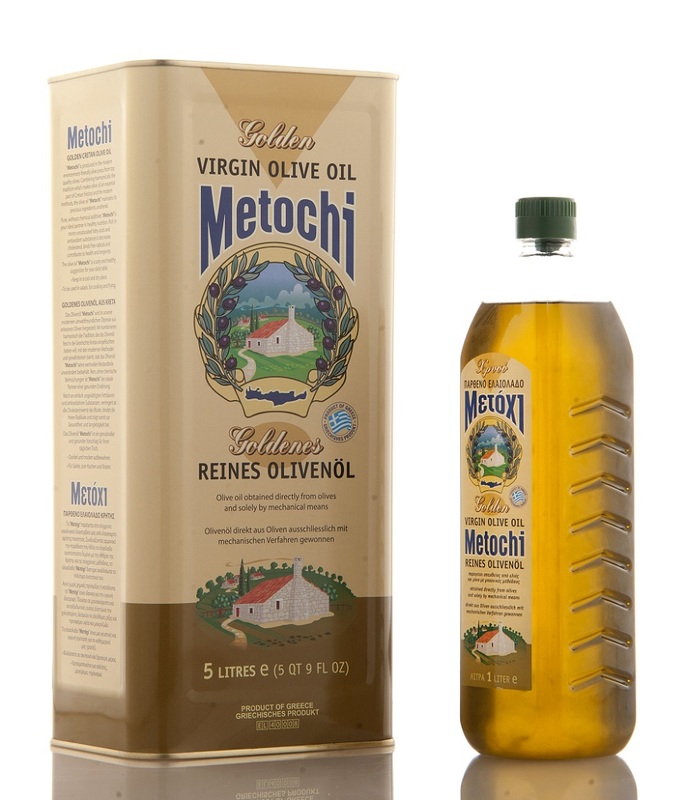 It is an olive oil produced directly from olives and only by mechanical means which leave the olive oil’s resulting quality unaltered. It comes from Cretan olive trees belonging to the “Koroneiki” variety in combination with the traditional “Chondrolia” olive variety. Available in metal containers of 5lt and PET bottles of 5lt and 1lt. Enjoy a journey back in time... Harvest, Production and Standardization in a magnificent video! Cretel S.A. in FoodExpo 2018: Thank you all!